Asia Society Museum, 9780300197365, 256pp. Supported by a thriving art market in the Persian Gulf, interest in Iranian modern art has intensified in recent years. 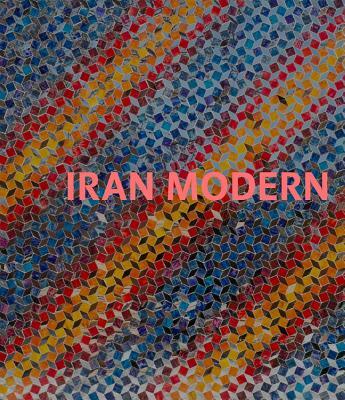 "Iran Modern" offers a timely exploration of the cultural diversity and production of avant-garde art in Iran after World War II and up to the revolution--from 1950 through 1979. Generously illustrated, this volume provides a new understanding of global interconnectedness not yet addressed in art historical accounts. Ten essays by distinguished scholars of art and history elucidate the early development of Iranian artists, patrons, galleries, art schools, architects, and writers who influenced and participated in the dynamic decades of the 1950s, 1960s, and 1970s. The essays describe a time when Iran experienced an outpouring of original and creative modern art and when the country was very much a part of the international art world. Fereshteh Daftari is an independent scholar who was a curator with The Museum of Modern Art, New York from 1988-2009. Layla S. Diba is an independent scholar who was Hagop Kevorkian Curator of Islamic Art at the Brooklyn Museum of Art and the director and chief curator of the Negarestan Museum in Tehran from 1975-1979.